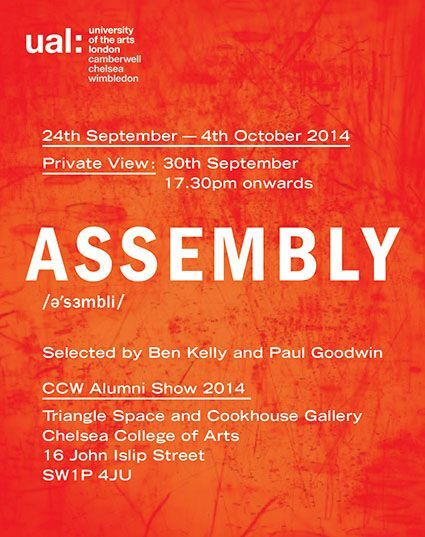 'Assembly' is a collection of work from recent graduates of the BA and MA Shows across Camberwell College of Arts, Chelsea College of Arts, Wimbledon College of Arts (CCW), University of the Arts London that has been selected by Ben Kelly, UAL Chair of Design and Paul Goodwin, UAL Chair of Black Art & Design. We do hope that you can join us to celebrate our 2014 graduates. 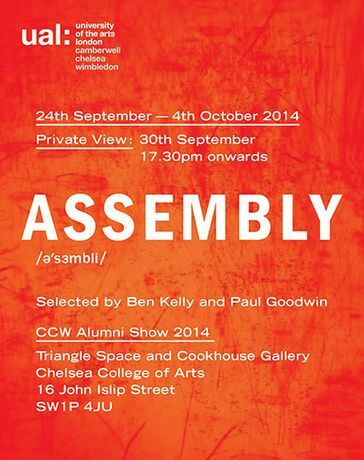 Please RSVP to ccw.rsvp@arts.ac.uk to confirm your attendance.